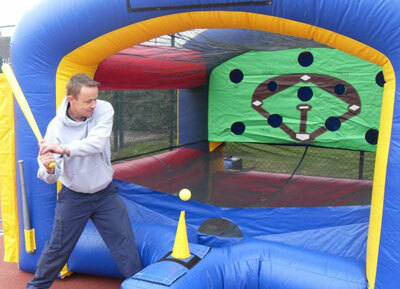 The baseball game uses an air stream to make the ball float in mid air. 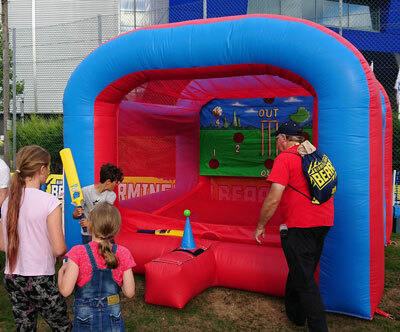 You then try to hit the floating ball through one of the target holes, avoiding the 'run out' ones, with the baseball bat. This game requires an operating area of 16ft wide by 18ft deep. 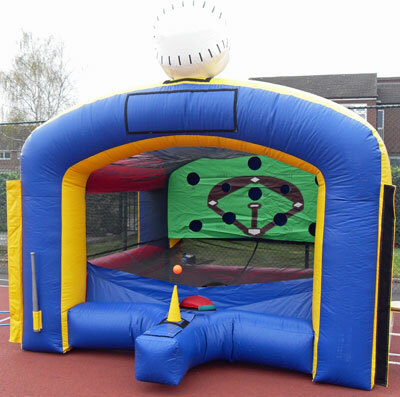 Ideal for fetes, parties, fundays, promotions, etc. 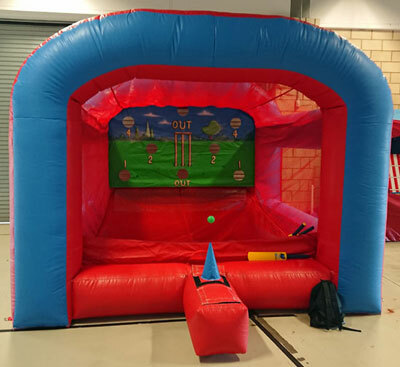 This is our new inflatable Cricket Strike game. It works exactly the same as the Baseball Strike with the ball hovering in a vertical airstream but is cricket themed.